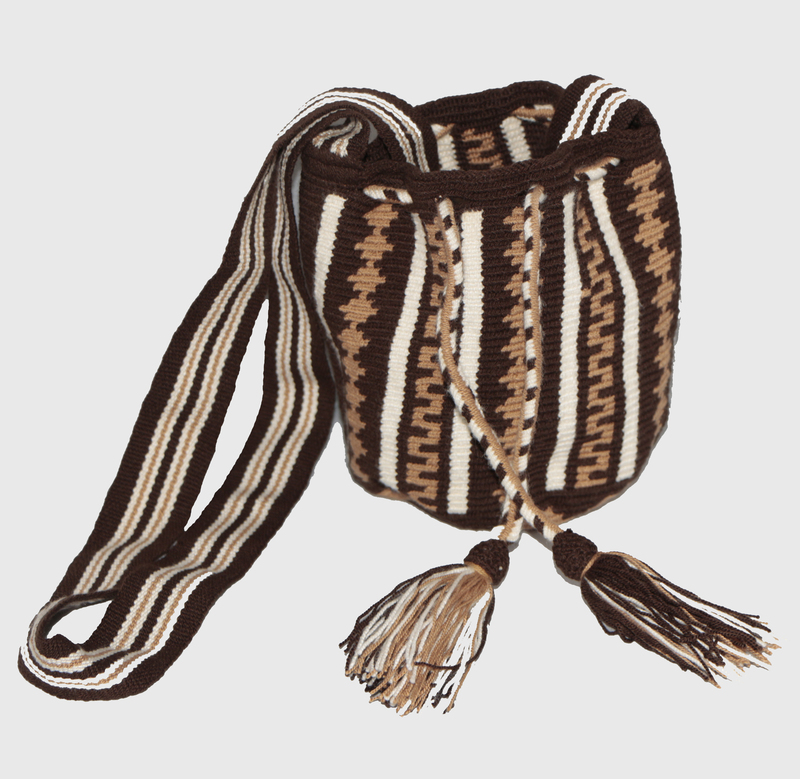 Wayuu Mochilita, one cotton thread. Handmade by women of the Siapana community north of Colombian Guajira. Strip made in manual loom. Color, intense coffee with geometric primitive designs. Small size. This model available for shipping in 3 business days. Size 13.5 x 15cm. View large picture.